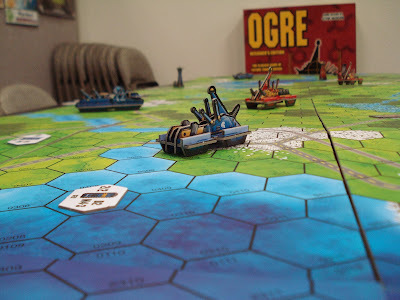 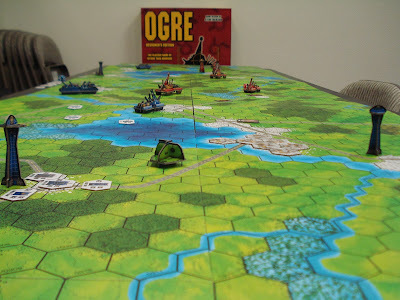 Kelson and Frank brought in and had an awesome day of Ogre. 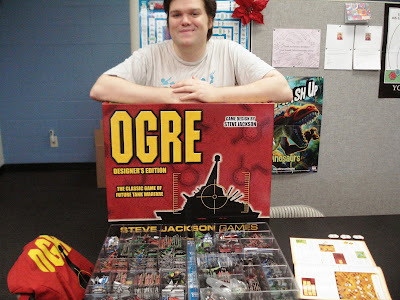 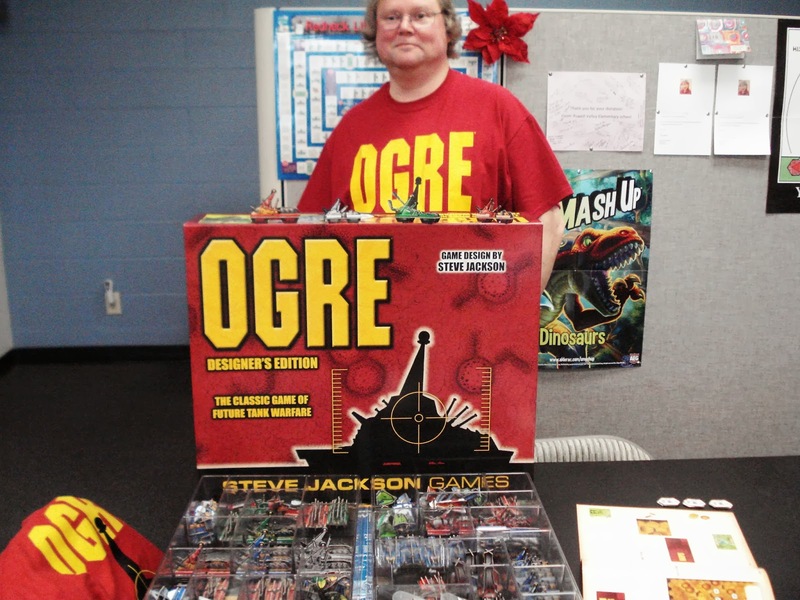 Ogre comes in an enormous box full of game boards and components. 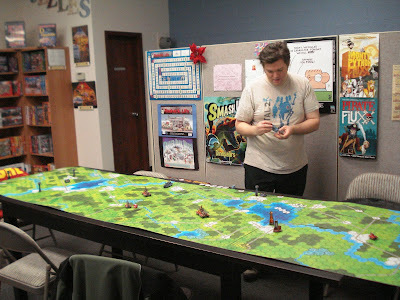 Included are the rules and map originally released as G.E.V., plus some material first introduced in the supplements Shockwave, Battlefields, and Ogre Reinforcement Pack. 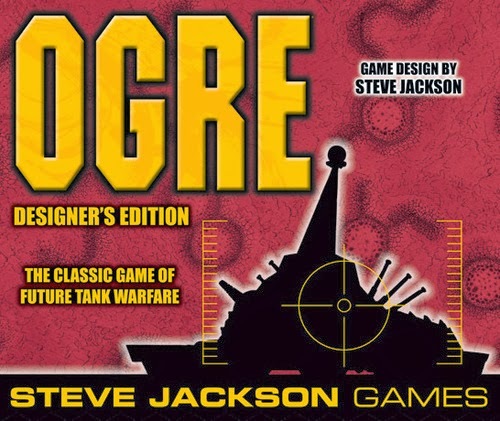 Ogre and G.E.V are tactical ground combat games set in the future of 2085 where armored warfare is faster and deadlier than ever. Hovercraft, tanks and infantry slug it out with tactical nukes. 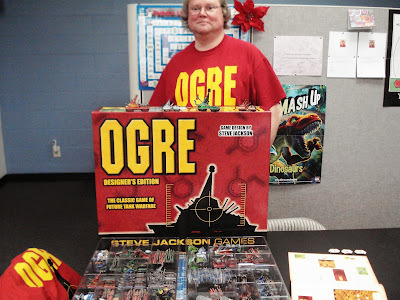 But the most feared weapon of all needs no human guidance. It's the giant cybernetic tank called the Ogre. 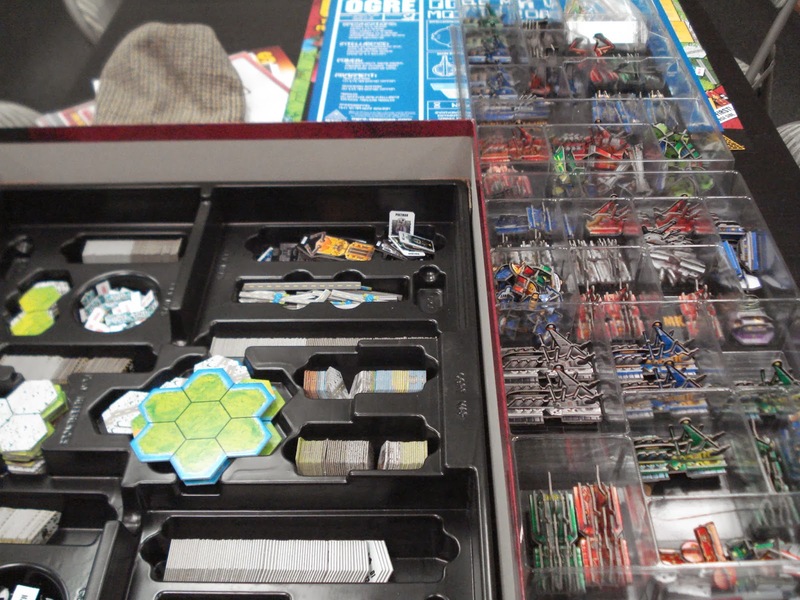 Laying out all of the G.E.V. 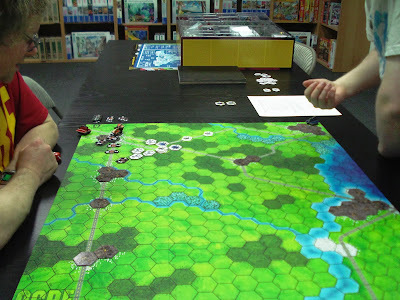 and Shockwave boards.